Thank you to Fond du Lac’s ACE Academy for touring MCC, Inc. These students took in an abundance of information! First was some presentations at the corporate office. The concrete representatives discussed different types of concrete, dispatching orders and how to keep their customers happy. Then the construction reps discussed project management and the importance of technology in the construction world. Next out to the shop they went. 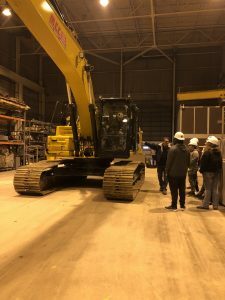 Our President, Joe Murphy along with some of our equipment operators joined the students to allow them to sit in and learn about some of the equipment controls. 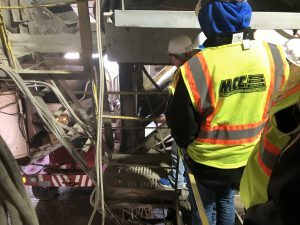 Next they headed to the Mackville quarry where Ory Green explained the different types of aggregate along with the process of how aggregate is produced and the importance of accurate inventory procedures. 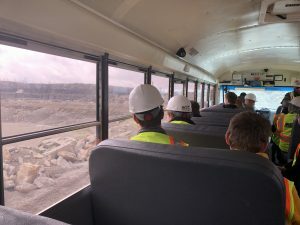 These students even received a bus ride thru the quarry to see the different parts, the blasted areas, production piles and some day to day operations of the quarry. 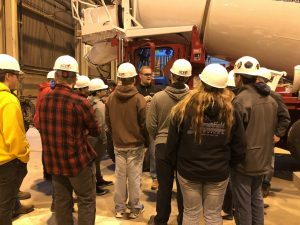 Last but not least, the students toured the concrete plant and testing labs. 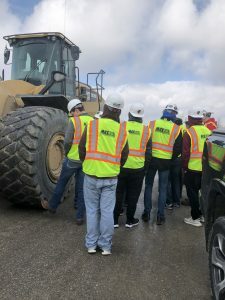 At our BB location, the students witnessed a redi-mix truck get loaded, the lab conduct various testing procedures for quality and durance of concrete along with a walk thru with asphalt testing lab. Thank you again to all the students and teacher for showing an interest in our industry!